We are the Electric Shave Club, and like many of you we got tired of cheaply made yet expensive electric shavers that just don’t live up to their name. Not only do brand name razors over price their shaver product but even more so with their replacement blades. Think about it, these little steel blades are selling for $40 – $80 dollars you can get more steel in a package of paper clips for $5 at your local office supply. Our replacement blades are Japanese stainless steel, higher quality and less than half the price of other brands. We take a high quality product and sell it for a fair price, so you don’t have to worry about buying another expensive razor that just won’t cut it. Because we believe that you really should get what you pay for, don’t waste your time or your money on other brands join the club and see shavings for yourself! 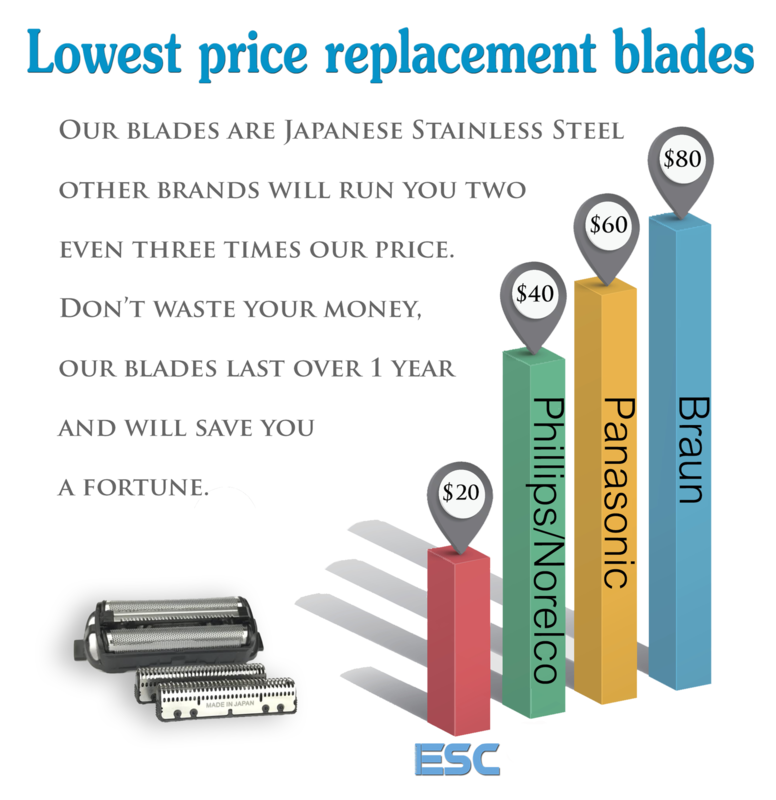 The ESC-100 provides affordable Japanese steel replacement blades sourced directly from japan. They will cut closer and last longer! Our high-speed motor delivers 13,000 cycles per minute and automatically adjusts according to beard density. Providing no tug or pull and a closer move comfortable shave. The pop-up trimmer feature is designed to trim sideburns, mustache, and knock down overgrown facial hair with extreme precision! The ESC-100 has a IPX7 water resistance rating, you can wash to clean or even use it in the shower! 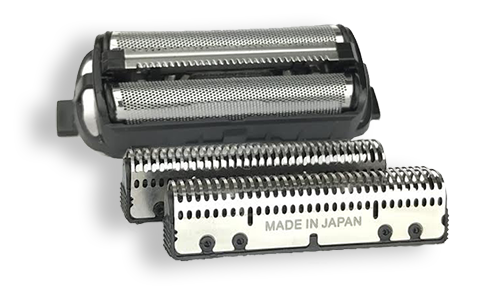 The ESC-100 provides affordable Japanese steel replacement blades sourced directly from japan. They will cut closer and last longer, most importantly they wont cost an arm and a leg. Our blades are $19.99 undercutting industry standard pricing by 50-80% you wont find a better deal on blades we guarantee it!